To get started, review this challenge and its primary sources. Send your students the challenge code so they can make their case! Register for a free account or login to customize this challenge. What evidence supports the view that you should be free to print even controversial opinions in a school newspaper? BACK IN YOUR HOME COUNTRY, THERE WAS NO SUCH THING AS FREEDOM OF THE PRESS. That’s why what happened last week came as such a shock to you. You’re a reporter for your school’s newspaper, and you did an interview with another student who has some rather bold ideas about making the smoking of cigarettes illegal. You don’t even agree with his ideas, but you still felt that they should be shared in the newspaper. You pay close attention to politics in your adopted country. You’ve been hearing a lot of people say that “we’re all just living in our little bubbles” – meaning that we only talk with people whose ideas match our own. Wouldn’t it be a good thing to print some controversial ideas in the school newspaper? Even if they weren’t popular, wouldn’t those ideas get people out of their “bubbles” and talking with each other? Once the newspaper was printed, your principal called you and the student you had interviewed down to his office. What was in the interview was “totally unacceptable,” he said, and he was considering suspending both of you from school for at least a week. Even in the U.S., there are differences of opinion about freedom of the press. Investigate the primary sources. What evidence supports the view that you should be free to print even controversial opinions in a school newspaper? Make your case. Have your students take this challenge and make their case! To begin, send your students to this website with this challenge’s code. To get started, review the challenge and these primary sources. Send your students the challenge code so they can make their case! Register for a free account or login to customize this challenge. A poster about the ongoing fight to preserve freedoms. A poster about freedom of speech, the press and religion. A bill that was introduced in the U.S, Senate to urge international freedom of the press. A bill that was introduced in the U.S, Congress to urge freedom of the press in Vietnam. A bill that was introduced in the U.S. Congress to commend the American press (includes a history of why freedom of the press is essential in a democracy). The Bill of Rights - the ten original Amendments to the U.S. Constitution. 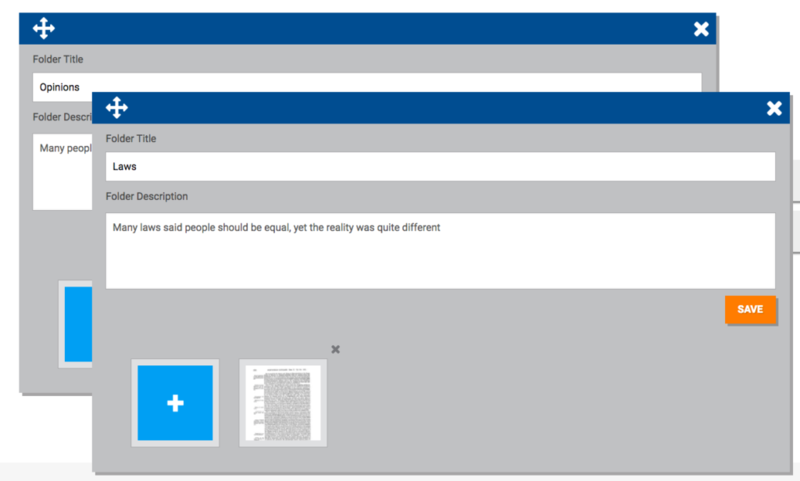 To get started, give your folder a title and description, save, and then click the blue + box to take notes on a primary source. 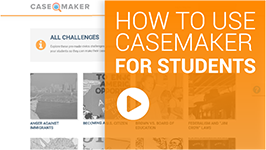 To have your students take this challenge, send them to https://mycasemaker.org and have them enter the code below. 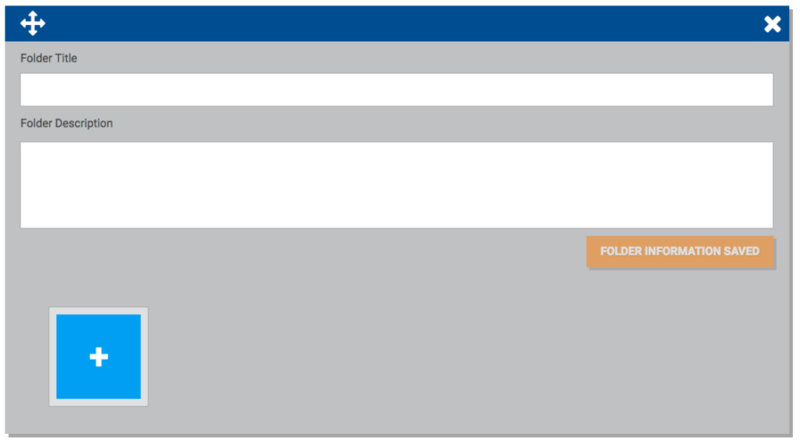 To view or present your case in a non-editable mode, go to the URL below. 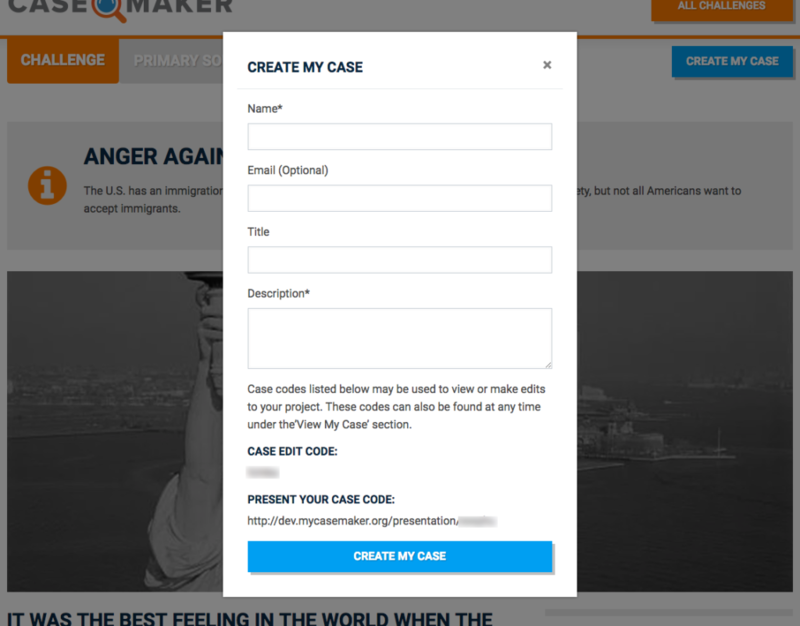 When you want to continue editing your case, come back to https://mycasemaker.org and enter the code below. Your email is only be used to send you the information shown here so you can get back to edit or present your case. Case codes listed below may be used to view or make edits to your project. These codes can also be found at any time when you are in the My Case section. Please give your challenge a new title. This view shows a Single Challenge. Each Challenge is a scenario based on a real civics issue. There are additional thoughts to help you consider the scenario in the blue Ideas tab along the right side of the screen. Use this view to find a Challenge to give to your students. Read through the entire Challenge scenario to get a feel for not only the issue at hand, but the angle this scenario wants students to take in making a Case. 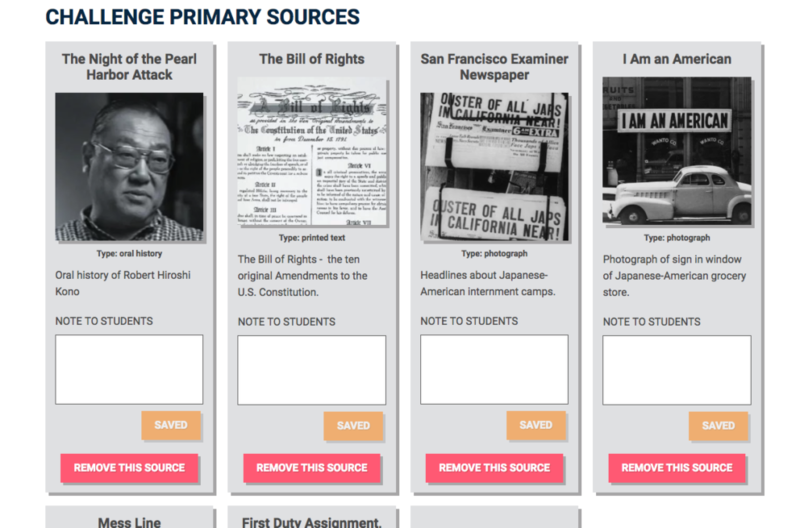 After you’ve read the Challenge scenario, be sure to check out the Primary Sources your students will use to find Evidence when making a Case. And carefully read the Challenge directive students will use to formulate their Case idea. When you’re ready to give this Challenge to your students, simply click the Challenge Code button to find this Challenge’s unique code. Then, send your students to this website and tell them to enter the Challenge code you’ll give them and they’ll be on their way toward making a Case. If you are logged in with a free teacher account, you can customize any Challenge. Just click this button to get started. Make your own customizations to this Challenge by making a copy to work on. Use this view to review the Challenge scenario given to you by your teacher. Read the story and imagine the lives of the people involved. Think about how you would react if you were in the same situation. Pay special attention to the directions in Your Challenge. This tells you how to think about making your Case. Be sure to check the Primary Sources tab. The items you find there are critical because you will be using them as Evidence to piece together your Case. 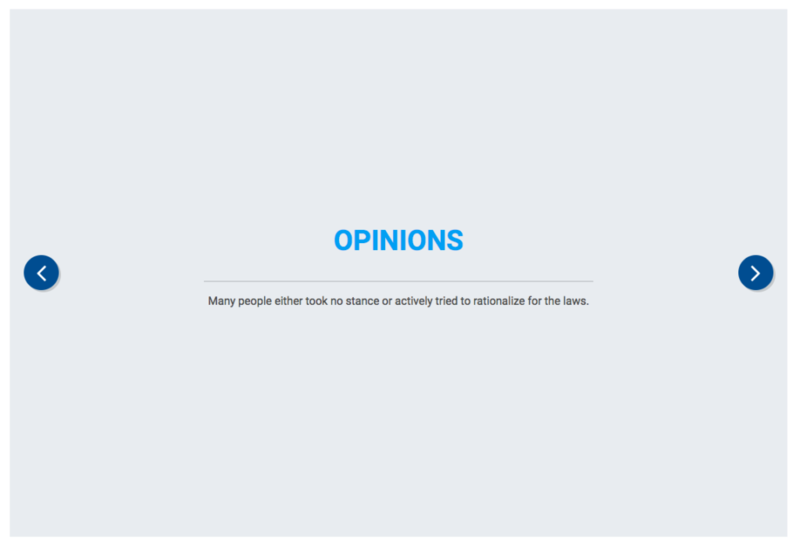 For additional ideas as you consider how to make your Case, take a look at the blue Ideas tab , along the right of your screen, just under the Help tab. Finally, when you’ve reviewed everything and you’re ready to make your Case, click the Create My Case button. When you create a Case, you are presented with a window where you can enter a title and description, as well as your name and email. Your name is used to help identify you if you are using presentation mode (a PowerPoint-like online presentation of your case directly from this site, like you would use to present in front of your class), and in a listing to your teacher privately if you are working from a teacher-made custom Challenge. Your email is optional and will only be used once to send you information about your Case so you can easily retrieve it. Your personal information will never be shared with any third party, and your email is not stored in the system. Read the challenge and look over the primary sources. If you want your students to work on this Challenge, click on the blue Challenge Code button. Copy and share that code with your students. They just need to visit this website and enter the code to begin. When you’re ready, click on the blue Create My Case button to begin. 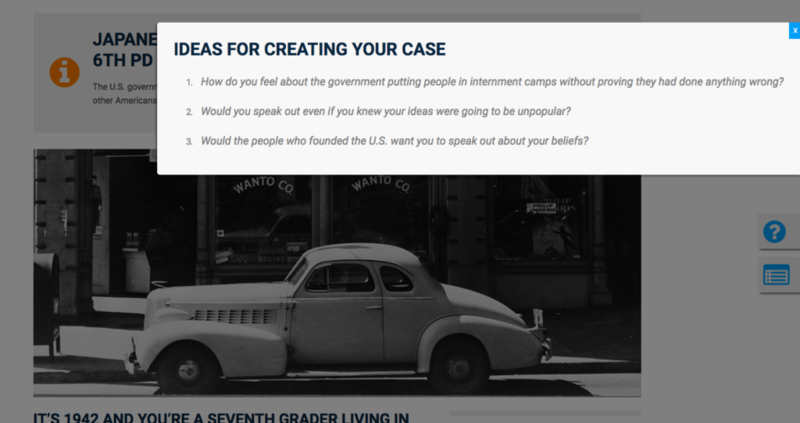 Then you’ll investigate the primary sources and add your own notes to build your case. If you’re stuck, check the blue Help tab on the right side of your screen. Plus, the challenge and each primary source has specific tips to help you along, available from the blue Ideas tab that appears just below Help. Has the idea of freedom of the press always been a part of America? What evidence is there to support the belief that you should be able to publish even controversial opinions in America? Can you imagine a situation where you would be opposed to the idea of freedom of the press? This is a collection of Primary Sources for the Challenge you’re reviewing. 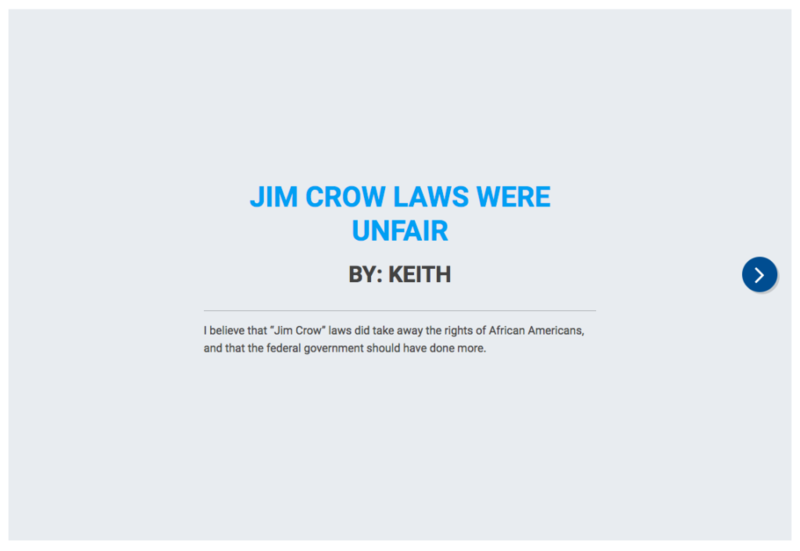 These are documents, photographs, videos, political cartoons, and more, from the Library of Congress, selected to help you make your Case. 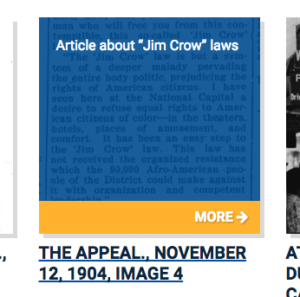 To investigate any Primary Source, simply click into it to see it in detail. Review these Primary Sources so you understand what your student will be working with. 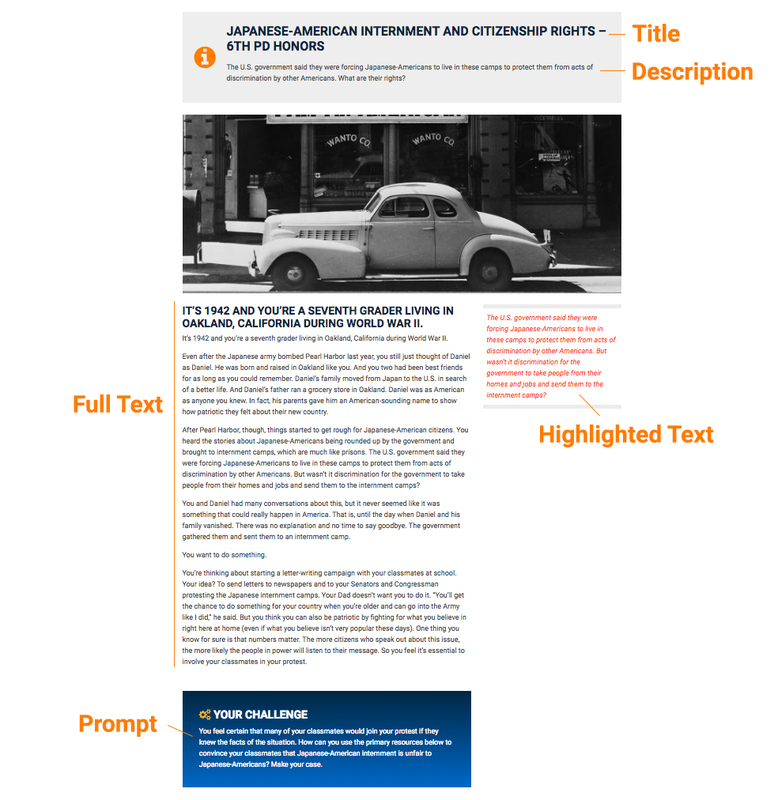 Students are able take entire sources, or parts of a source using cropping tools, and make notes to serve as Evidence when they make their Case. 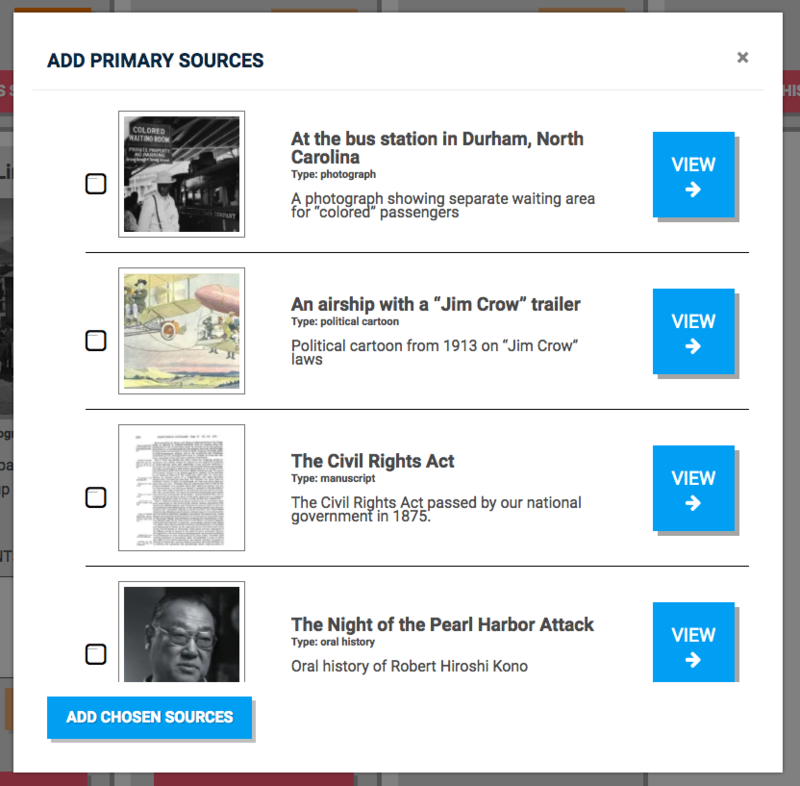 If you are logged in with a free account, you can also customize your Challenge, including the ability to change Primary Sources that are includes, and to put your own notes on any Primary Source, as a way to give direct and specific instruction to your students. Along with the Challenge scenario, review these Primary Sources carefully. Think about what each one means in relation to the issues of the Challenge. You’ll be using these sources to make Evidence that forms your Case. Using the Challenge scenario and the Primary Sources association, it’s time to make your Case. A Case consists of one or more folders, each of which can contain Evidence you find within the available Primary Sources. If you’re having trouble visualizing what you will be making, jump down to the Presentation section below first. First, notice that you can change your Case’s title or description at any time, right from the top of the view. If you’d like to change your Case details, just click into either the title or description field and make your edits. Be sure to Save afterward. Below that, you’ll see your first folder, but it will be empty. You need to fill it in. You start with a blank folder. Your case will consist of one or more folders, each with a title, description, and Evidence you find in the Primary Sources. You could begin by entering a title and description, but without Evidence in the folder, it might not be clear quite yet how you want to organize things. Instead, click the blue + box to add your first piece of Evidence. 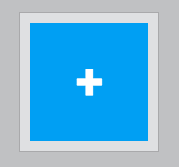 Click the blue + box to add a new piece of Evidence. 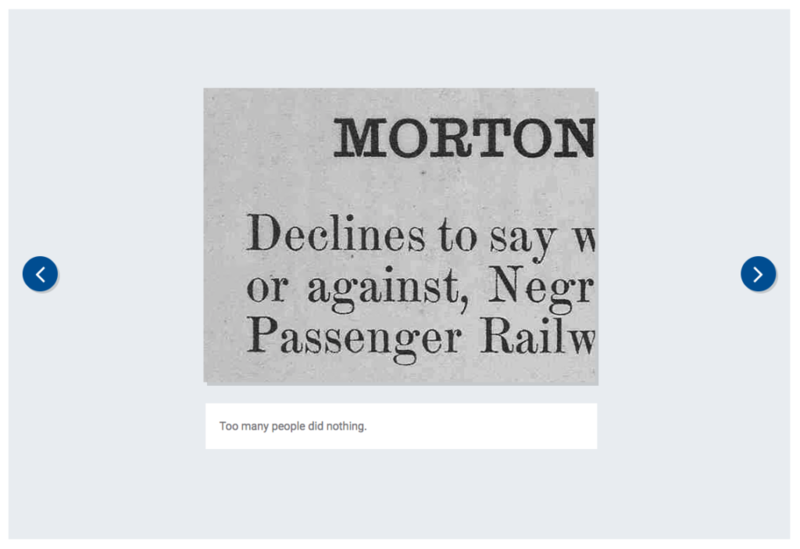 Once you click that, you’ll be take to the Primary Sources listing for your Challenge. Select a Primary Source and inspect it, looking for clues. Remember, there are always ideas to help you in the tabs along the right side. Once you’ve cropped an image to find a particular detail, trimmed a video, or whatever else you’ve selected as your Evidence, and added your own note, you’ll be returned to My Case with your piece(s) of Evidence in place within a folder. As you add Evidence, you can decide what your folder is about. This folder has been filled in with a title, description, and two pieces of Evidence taken from Primary Sources. 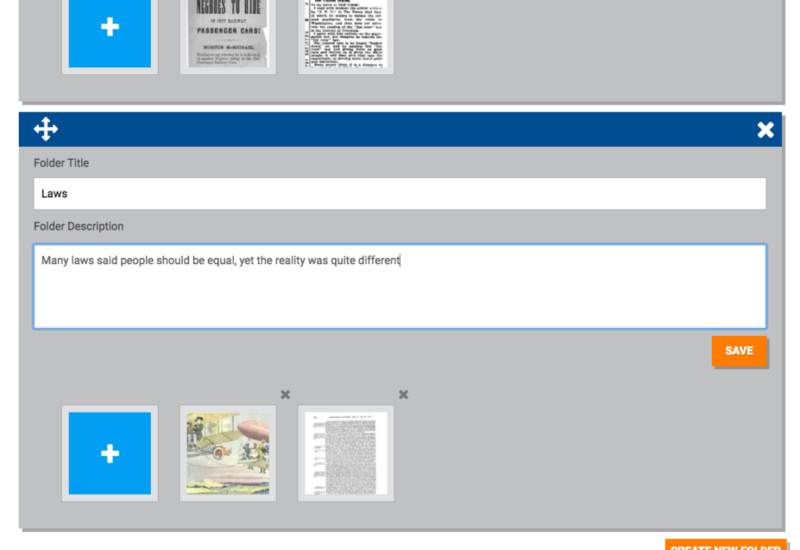 In this example image, we’ve decided our folder is about Opinions. You can enter a title and description, but always be sure to hit Save after you make edits to these folder details. You may update each folder’s information at any time, but be sure to save it. Of course, you’re not limited to just one folder. Your presentation can cover any number of ideas, and each can be a folder for organization. To make a new folder, just click the Create New Folder button. You can create any number of folders. When you have more than one folder, they simply line up one after the other within your Case. And each folder can have a title, description, and pieces of Evidence pulled from Primary Sources. This shows a second folder below the first, also including a title, description and some Evidence. As you continue to add folders, and add Evidence into folders, you may decide things aren’t organized just how you’d like. That’s fine. You can always move things around. Simply drag and drop pieces of Evidence between folders, or to reorder them within a folder. And you can reorder your folders by drag and drop, too. If you have collected some Evidence but don’t think it belongs in the folder where it was originally placed, simply drag it to another folder. If you don’t like the order of your folders, simply drag them to reorder. So, that’s how you put together a Case and keep it organized. What’s next? Well, you can use your Case simply as a reference, like if you are writing a paper or having a debate. Or you can directly present your Case from this website, using your Case’s presentation URL. You may want to present your Case directly from this website, like a PowerPoint slide show. You might even turn in your presentation URL to your teacher to complete your Challenge assignment. But of course, you don’t want to give away your Case edit code, since that’s lets anyone make changes to your Case. To keep your Case editing private for yourself, but allow others to see your Case online, share your Case Presentation URL. When someone (including you!) goes to your Case Presentation URL, they’ll get to see everything you put into your Case, in a convenient slide show presentation. This begins with your title screen. From there, we see information about your first folder, to set the stage for Evidence that will appear. After the folder information, the presentation steps through each piece of Evidence in that folder, in order, one at a time. And then your presentation continues, going through each piece of Evidence and each folder, just as you’ve organized them, until it reaches the end. Your Case presentation continues through each of your pieces of evidence and through all of your folders, one at a time. So, that’s how you make a Case and give it as a presentation. Good luck! This is where you can Customize a Challenge. 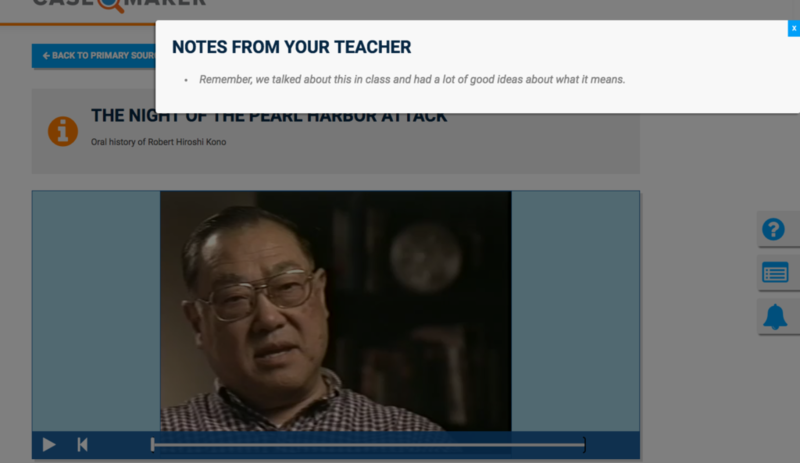 You’re able to modify the title, description, scenario, and more, as well as alter the Primary Sources, and leave notes specifically for your students. There are a number of fields you can customize, but before you get started, it would be good to know where all of these things will end up. Here’s a handy reference, with customizable field names listed in orange. The sections noted by orange field names can be customized by you. At the top of the screen, you’ll see fields that allow you to edit the title and description, followed by fields for the full text, prompt, and highlighted text. Below all of the above, you’ll see a space to enter three Challenge Prompts. These are little bits of extra information to help spur your students when they are making a case. But where do those appear? They show up in the Ideas tab that sits along the right side of the screen when your students are working with your Challenge. Clicking that tab shows the prompts you’ve entered. 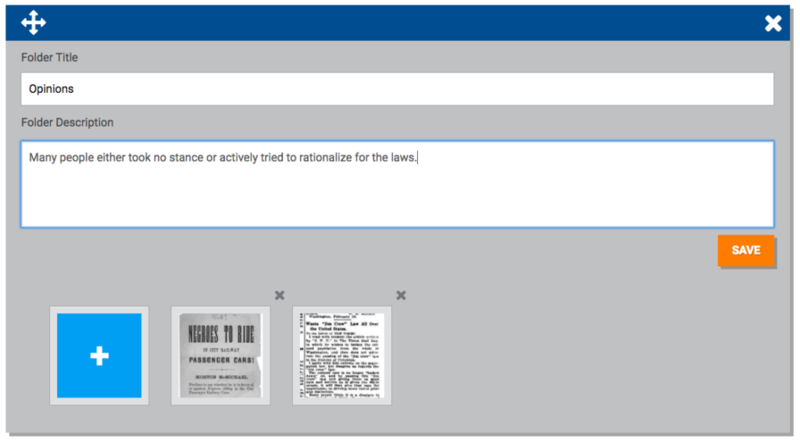 You may want to change the Primary Sources being used for your custom Challenge. At the bottom of the Customization screen, you can do so. 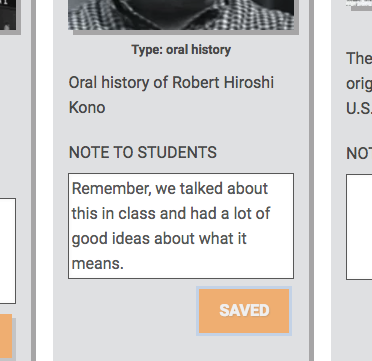 For each Primary Source you have associated with your custom Challenge, you can enter a special teacher’s note. 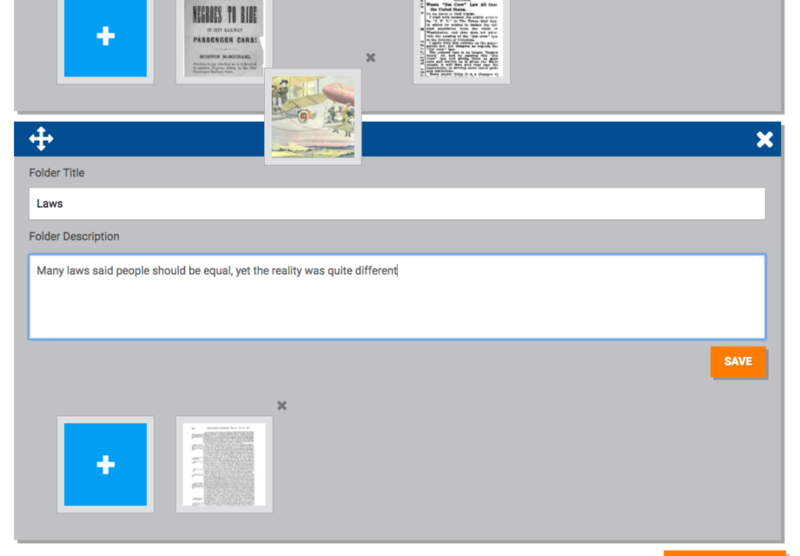 These notes appear from the special teacher notes tab when students are looking at individual Primary Sources. You can remove any Primary Source you don’t want to include simply by clicking the Remove This Source button associated with it. When you choose to add new sources, an overlay panel lets you scroll through available options, each of which can be viewed in another window. 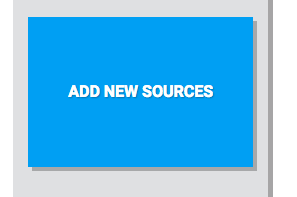 Select the one(s) you want with the available checkboxes, then click Add Chosen Sources. When you have all the text fields updated for your Challenge and all the Primary Sources in place, click the Save Your Custom Challenge button. You can always return to the Customize tab for this Challenge to make additional edits. When you’re done and ready to share this new custom Challenge with your students, click the Challenge Code button, just as you would for any Challenge, and share that code with your students.